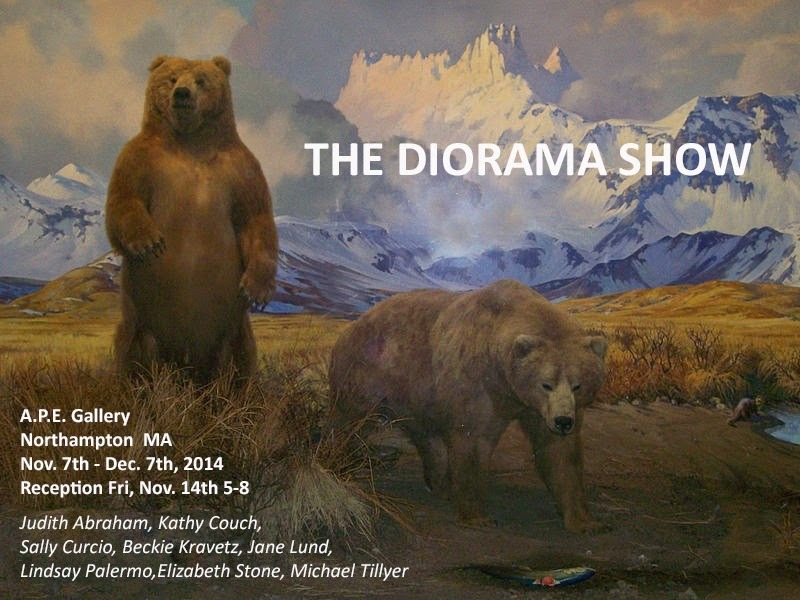 The Diorama Show will include the disparate visions of 8 contemporary artists. Their various approaches are conceptual, realistic, dreamlike, symbolic or reflective often with a strong vein of wit. The dioramas range from small wall hung boxes to a store window-sized scenario. One includes a transmuting projected image and another hides under the skirts of ceiling-hung dresses.